If you live in or near the bush, your home is at risk from bushfire. Bush includes bushland, scrub, grassland, farmland, heath, marram grass and buttongrass. You should use these pages to guide you through the steps necessary to prepare your home so it can be defended against bushfires, either by yourself or by firefighters, except bushfires burning on days of 'catastrophic' fire danger. Most bushfires in Tasmania occur during relatively mild summer weather and are easily controlled by firefighters. However, bushfires that break out on very hot, dry and windy days can spread rapidly and may be difficult or impossible for firefighters to control. These fires can burn large areas of forest and farmland, destroy homes and livestock, and sometimes kill and injure people. The devastating bushfires that destroyed more than 300 properties in south east Tasmania in January 2013 are an example of what can happen under these conditions. A properly prepared home is more likely to survive a bushfire than one that hasn't been prepared, and the chances increase significantly if able-bodied people are there to protect your home. 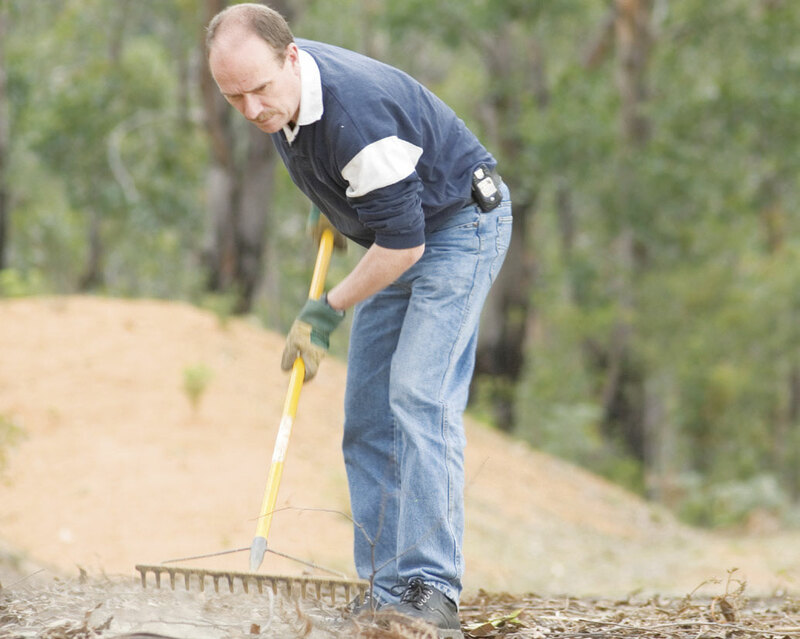 Properly prepared and defended homes can provide a safe haven during almost all bushfires. Fire Danger Rating exceeds 50 (severe) in your area, unless you have created a defendable space and ember- proofed your home. Fire Danger Rating exceeds 75 (extreme) in your area, unless your home has a defendable space and has been designed and built specifically to withstand a bushfire*. Fire Danger Rating exceeds 100 (catastrophic) in your area, regardless of any preparations you have made, unless firefighters have assessed your home as defendable in the prevailing conditions. Leaving early is always the safest option when a bushfire threatens your home. If you are not staying to defend your property, you should plan to leave early. Many people have died in bushfires because they have tried to relocate too late, and have been trapped and burnt in their cars or on foot. Fewer lives will be lost if people who choose to leave do so well before a bushfire threatens their home. 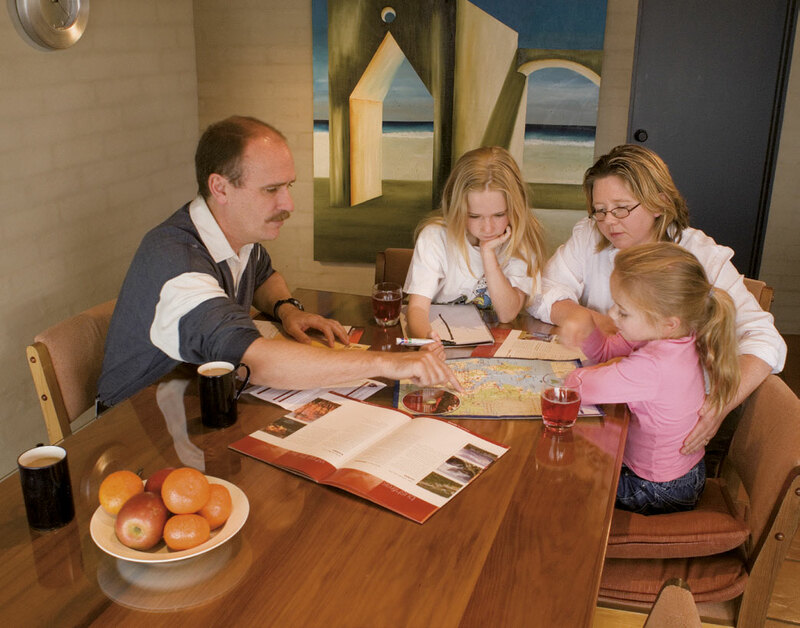 Understanding what a bushfire is like will help you choose whether to leave if a fire threatens, or stay and defend your property, and prepare you for the conditions you might experience if you choose to stay. Most bushfires in Tasmania that threaten homes burn on hot, dry days with strong, gusty winds. If a bushfire is burning towards you on a day like this, it will become increasingly smoky and difficult to see, and your eyes may temporarily become reddened and sore. Breathing in heavy smoke may be uncomfortable. As the fire gets closer, it will get darker and burning embers will begin to land around your home. The closer the fire gets, the more embers there will be. As the fire approaches, you will be able to hear it roaring. Burning embers will rain down on your home and collect in corners and on flat surfaces. On catastrophic days, winds will be strong enough to blow roofs from houses, and bring down trees and power lines. These winds may occur well before a fire threatens, and cut off your means of escape. So plan to leave early. As the fire reaches your home, the radiant heat from the flames may become unbearable, and you will need to shelter inside. By the time the bushfire has passed and it is safe to leave the shelter of your home, the noise will have abated. Outside it will be very hot, smoky and windy. You will need to wear appropriate clothing to protect you from radiant heat and embers that will continue to fall for several hours. Fires look a lot worse at night than during the day, even though they are usually much milder at night. Fighting a fire under severe, extreme and catastrophic conditions may be one of the most frightening things you ever experience. 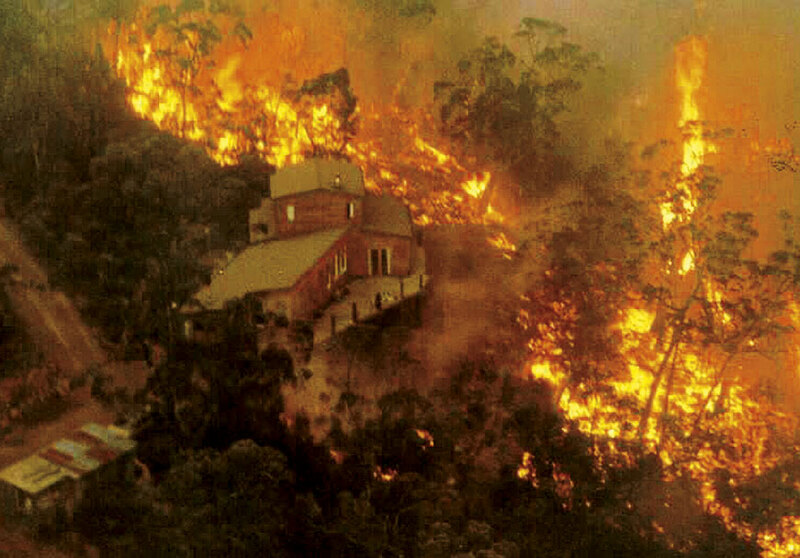 Many people who have successfully defended their homes in bushfires have later made decisions not to defend them again as they found the experience too traumatic. The strong winds created what they have described as an 'ember storm'. Others have reported that under no circumstances would they expose their children to such an experience, while others have said that their average fitness levels were inadequate to cope with firefighting in the very hot and stressful conditions. The risk of dying or being seriously injured defending a home under extreme and catastrophic conditions (Fire Danger Rating exceeds 75) is real. Many people have died defending their homes under these conditions, sheltering passively inside their homes or fleeing at the last minute. Burning embers collect on combustible surfaces or blow through cracks in a homeÃ¢âÂÂÂÂÂ‚¬âÂÂÂÂÂ„¢s external cladding. Embers begin falling before the fire reaches the home, and may continue falling for several hours after the fire has passed. Often homes only exposed to this ember attack donÃ¢âÂÂÂÂÂ‚¬âÂÂÂÂÂ„¢t burn down until several hours after the fire has passed. If residents are there, homes usually can be defended successfully. 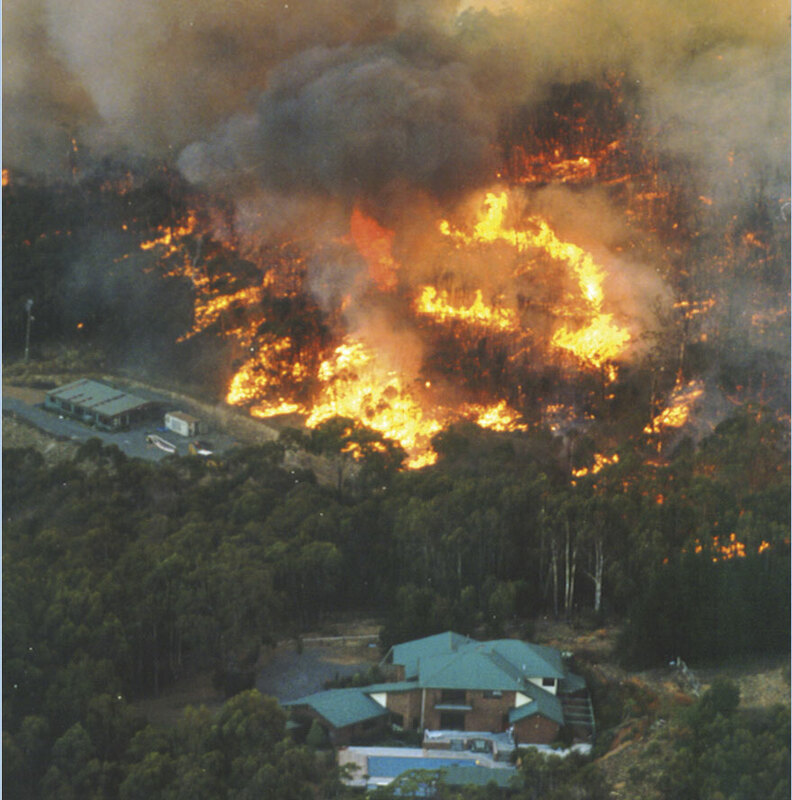 Homes with too much vegetation close to them are difficult to protect from bushfires. Flames and radiant heat from burning vegetation and other bushfire fuels too close to the home cause it to catch fire. Homes exposed to flames and radiant heat begin burning as the bushfire passes by. Well-prepared homes that are only subjected to ember attack can be defended by able-bodied people in most bushfires. Unattended homes are three times more likely to burn down than homes that are actively defended. Many people who have died in bushfires were caught by the fire in the open, either in their cars or on foot. Sadly, many were caught because they decided to flee at the last minute. In many cases, the homes they fled survived the bushfire. Some people have died when they stayed to defend poorly prepared homes, while others have perished defending well prepared properties which could not withstand extreme or catastrophic fire danger conditions. Some fatalities were the result of remaining and sheltering passively in the home, which has then caught fire. Some sheltered in their baths, thinking this was a safe place to be, but were unable to get out of the bathroom and escape as their house burned down. Others were unaware of the frightening conditions they would experience, and became overwhelmed and panicked, leading to poor decision-making. A properly prepared home can be defended by able-bodied people under most conditions experienced in Tasmania, but if severe, extreme or catastrophic conditions are forecast, leaving early is the safest option. If you live in or near the bush, you should make a plan that sets out what you will do to prepare your home for bushfire, and what you will do if a bushfire approaches. Writing and practicing a bushfire survival plan will help you think through the actions logically, give you something to refer to and help control fear and anxiety if a bushfire breaks out nearby. Stay and defend adequately prepared properties. Leaving early is always the safest option. Burns, injury, exhaustion, a more intense fire than anticipated, failure of equipment, loss of power supplies or water, structural damage to the building caused by wind or flames, or some other unforseen circumstance can compromise plans. The steps you are going to take to prepare your home for bushfire. If you are planning to stay, the steps you are going to take to make sure you can defend your home safely. The steps you are going to take to make sure you can leave early for a safe place (even if you are planning to stay). A list of nearby safer places that you can flee to at very short notice as a last resort in case your plan fails. Examples include cleared open spaces such as a beach, ploughed paddock or recreation ground. If nearby safer places are unavailable, you must plan to leave early. If you plan to leave early, where you will go, how will you get there, what you take with you, and what will trigger your plan to leave. The plan should also include what your family members should do if they are not at home, for example children at school. Let your family, friends and neighbours know what you are planning to do. 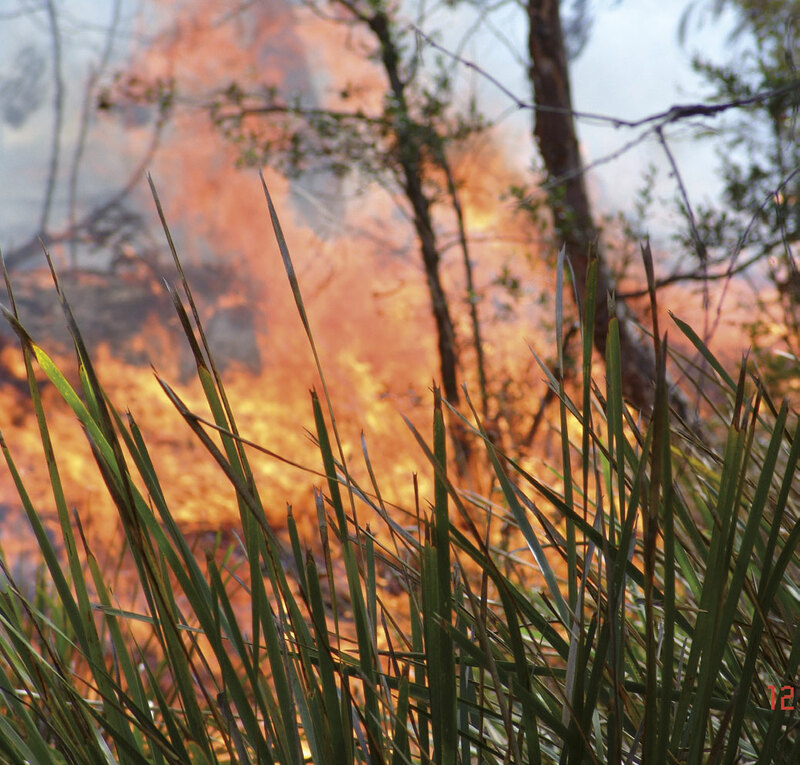 Remember that if your home has not been prepared and is closely surrounded by flammable vegetation, there is a high probability that it will burn down if threatened by an intense bushfire, even if firefighters are nearby. Firefighters will concentrate on saving homes that can be protected with minimum resources and without putting lives at risk. Therefore, regardless of whether you plan to stay with your home if it is threatened by bushfire or leave early for a safe place, the Tasmania Fire Service urges you to prepare your home so that it can be defended. If you do not prepare your home and property so you can defend it against a bushfire, you should plan to leave early, well before fire threatens your home and make sure it's well insured. Leaving early is always the safest option. Will I leave or will I stay? After preparing your home for bushfire and well before a bushfire breaks out, you should decide whether you will leave early or stay and defend your home if a fire breaks out. The safest option is always to leave early rather than to stay and defend. Not all homes are defendable in all circumstances and you are advised to undertake an individual assessment of the defendability of your home. Unless a property is defendable you should leave early. You should consider the impact of the landscape, fire weather and fire intensity on the defendability of your home. For example your home may be defendable when the Fire Danger Rating is very high, but undefendable when the Fire Danger Rating is severe. See what fires will be like at different fire danger ratings . Check the forecast FDR in your area or check your daily newspaper. The risk of staying to defend includes the risk of physical injury and death. 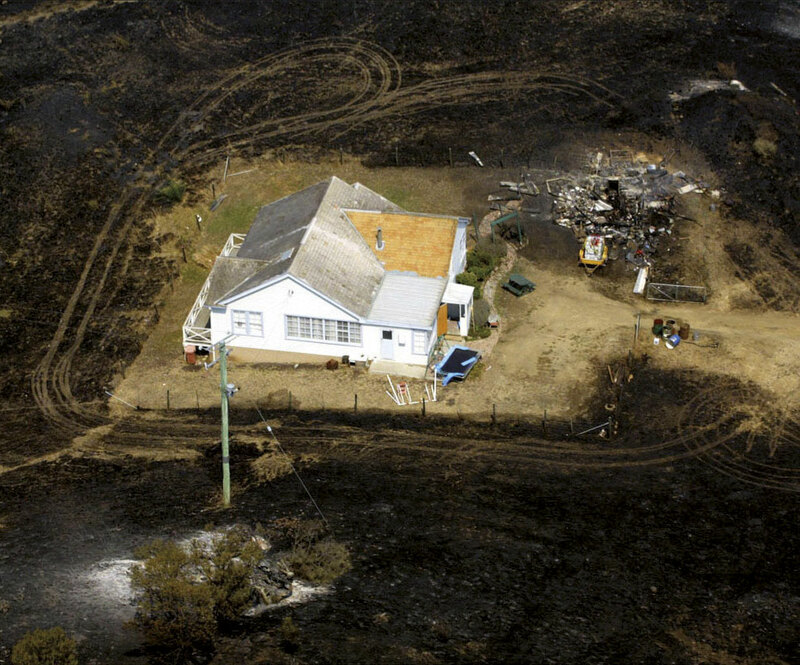 Your plan should be adaptable, and include options, as circumstances may change before and during bush fires. Even well prepared plans can fail. Even if you plan to stay, you should make preparations to leave, including the preparation of a relocation kit, identifying community fire refuges and other places you may go. You should also consider the psychological impacts of staying to defend your home. Families with young children, older people and people with disabilities should plan to leave early. You should appreciate the dangers of leaving late, and understand that a warning may not be received. Staying to defend a well-prepared home is a reasonable choice for many physically fit and emotionally prepared people in less than extreme fire conditions. Even for less intense fires, if your home has not been properly prepared and radiant heat from nearby vegetation makes it difficult to defend and unsafe to shelter inside, it will be safer to leave early. Remember, regardless of how well prepared your home may be, leaving early may be the best option for young children, the elderly or people with disabilities, people who are not physically fit, and people who do not feel comfortable about staying. If a fire breaks out in 'Catastrophic' conditions the safest place for everyone to be is away from any fires, regardless of any plans to stay and defend a property. If you are going to defend your home and are likely to be away when a bushfire breaks out, you need to have a means of learning about the fire. When bushfires are likely to break out, you should regularly monitor the Alerts List, Alerts Map, or the emergency broadcaster ABC Radio , and plan to return home as soon as possible, assuming it is safe to do so. People should not flee at the last minute.